Hope everyone is having a swell Memorial Day Weekend! 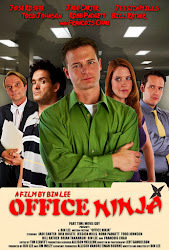 Check out It's Just Movies' sweet review of Office Ninja here, thanks Jessika Owens! Tune in on Tuesday when I have our editor, Tim Leavitt, on my podcast (9pm Pacific)!